↑Kentucky (BB-66). 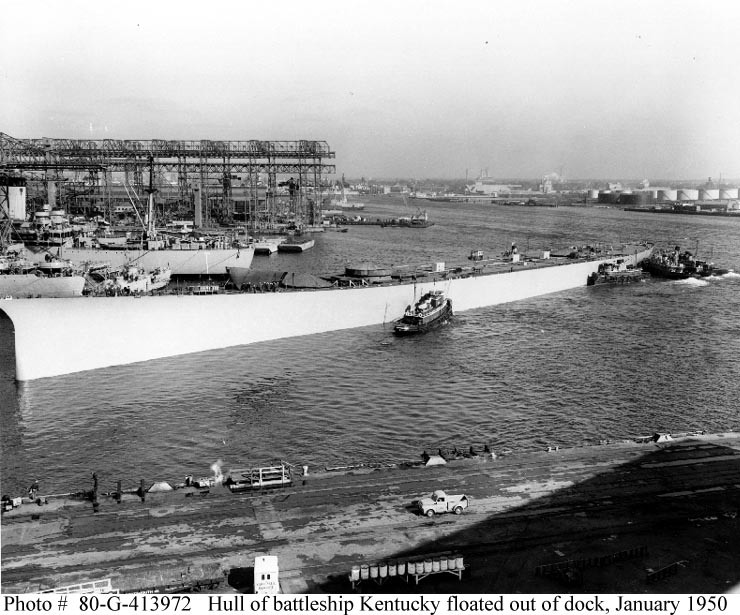 Is moved from her building dock at the Norfolk Naval Shipyard, Virginia, circa 20 January 1950. 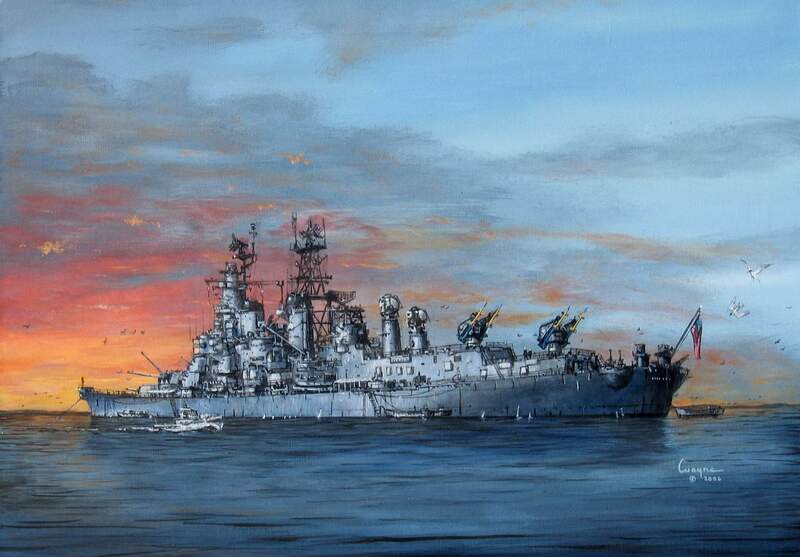 The ship, completed only up to her second deck, was launched to clear the drydock, so that USS Missouri (BB-63) could undergo repairs there following her 17 January 1950 grounding. Note that Kentucky's upper bow section is stowed on her deck, immediately in front of her forward barbette. Official U.S. Navy Photograph, now in the collections of the National Archives.